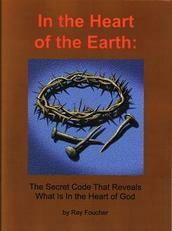 The resurrection of Jesus Christ is explained with some interesting new insights and significant scriptural discoveries in this recently-published book In the Heart of the Earth: The Secret Code That Shows What Is In the Heart of God. Please give me your opinion of what the sign of Jonah is a sign of. This is a survey question (please help me out) and an opportunity for you to get a free copy of this insightful book on the resurrection of Jesus Christ.